It was like I was reliving that moment when BIC introduced a new line of pens, BIC for Her. That pen had everything. It was stylish, elegant, and had a soft pearlescent grip for all day comfort so that my little hands could write without getting tired! All in a convenient pack of two because more than two pens would have confused me. I immediately began doing some research on these Doritos and discovered that it was even better than I could have ever imagined. A smaller bag so that I can easily put it in my purse? Amazing. Less cheese powder for a mess-free experience that would allow me to continue shopping without any embarrassment? Mind-blowing. Practically no noise when I bite into that triangle of pure female convenience? Absolutely cathartic. But with all this information, new questions arose. Would these girl chips be pink? Would the flavour be less bold? After all, my delicate female sensibilities can barely tolerate all that intense cheese dust that is the norm of a standard man Dorito. Also, would the money I spend on these snacks for women be able to alleviate the stress that all my hormones cause me? All of these inquiries kept swimming around in my head and I just ended up getting flustered and shrill. I just didn’t know what to do with myself! So imagine my disappointment when, soon after, I found out that it was all just a rumour. I don’t understand why there aren’t enough gendered things in this world lately. Now, my only solace is Hallmark, where I can get all the binary items that I could possibly want. Where else am I going to get these kinds of things so that I can push my ideals onto my friends during their baby showers? When I was growing up, my brother would get Hot Wheels, Beyblades, a Gameboy Advance and Nintendo 64, and Tonka trucks. Not that I know what any of those things are, mind you. Those are boy things. I, on the other hand, got an Easy-Bake Oven, some dolls, and those babies that would close their dead, glassy eyes when you laid them down. I grew up just fine, thank you very much. I say keep gendering your products! We don’t need to teach children about equality by letting them play with anything they want. Just like we definitely don’t need tax-free hygiene products or a workspace (or any place for that matter) free of sexual harassment. It’s just too much work to do that kind of thing, you know? An inconvenience if anything. 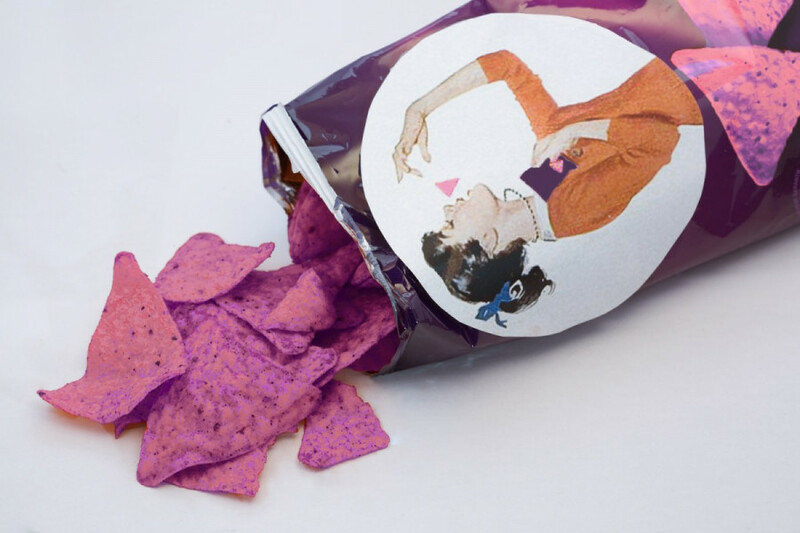 So please, do us all a favour and give us what’s really necessary: Make those Lady Doritos a reality.